I love this story because it reflects upon my own life as a marketing copywriter. People often wonder why I charge the rates I do, especially if the copy is short. I have honed my craft for more than 40 years, studying and learning how to write professional marketing copy for all the different mediums and outcomes: print, online, web, social media, white papers, grants, sales letters, advertisements, etc. It isn’t something I take, or do lightly. It is a talent as well as a profession, as it was with Pablo Picasso. It’s not a fluke that I’ve won a prestigious Clio award, and other writing accolades. Those type of results only come from serious study of the art form. When someone wants a job done well, they go to a professional. For example, if you need a heart transplant, you want the best, most experienced heart surgeon possible, and you’d expect to pay top dollar for an excellent result. Right? Would you trust the heart surgeon that didn’t charge a professional rate? I think not. It’s the same with your business. Why spend the money on shoddy work that could actually stop the heartbeat of your business? Wouldn’t you rather have the best, most trained person possible to help you create a healthy flow of business? Unfortunately, there are a lot of “wanna-be” copywriters out there. I know, because I get a lot of their work from my clients who ask me to “fix it.” My poor clients sadly then have to pay double for the same work–once to the not-so-good copywriter, and once to me, when for a lot less money, they could have gotten the best the first time. Think about that when you’re comparing writing costs. Short copy must deliver your entire message in the fewest words possible. This means that each and every word must carry weight and importance. Finding the right words to convince, influence, enlighten, or persuade also takes years of practice honing the skill. And a good writer can do it quickly. But that doesn’t mean it is easy. In fact, short writing is the most difficult type of writing. In a writing class, I was asked to write a short story containing only 10 words. It was a wonderful exercise in storytelling that I’ve used many times when writing marketing copy for clients. 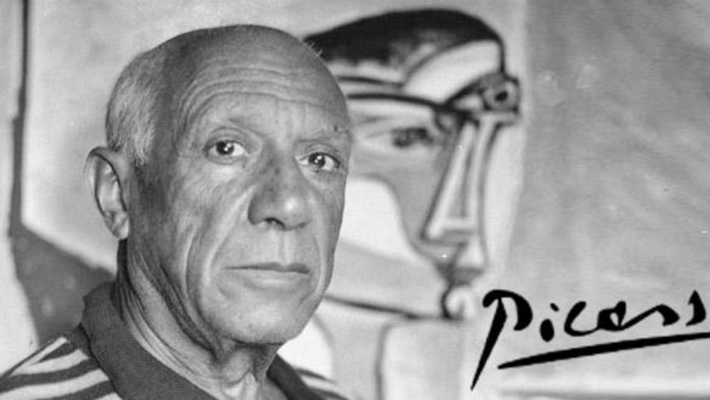 Pablo Picasso may have been controversial, but nobody could say that he wasn’t a true genius. I hope someday people regard my work that way, although I doubt it will ever appear in a museum — hmmm, unless I’m hired to write the art descriptions, catalogs, sales copy, promotions… Come to think of it, maybe my writing WILL appear in a museum someday. If you want the best marketing copywriting in Northern Virginia and beyond, please contact All the Buzz.